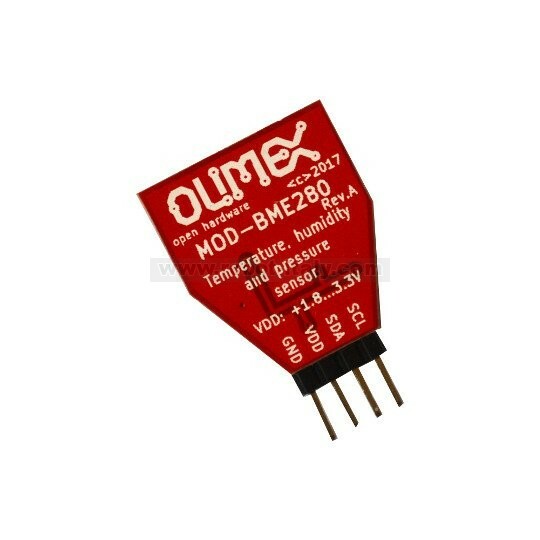 MOD-BME280 is combined humidity, temperature and pressure sensor module based on Bosch BME280 sensor. 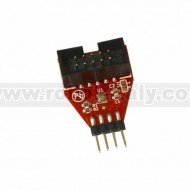 It has two digital interfaces: I2C (up to 3.4 MHz) and SPI (3/4 wire, up to 10 MHz). Typical use is: Home automation control, quality of working environment, control heating, venting, air conditioning (HVAC), elevator detection (change of air pressure), Vertical velocity indication (rise/sink speed). IMPORTANT NOTICE: BME380 sensor works on 3.3V power supply, if you use it with Arduino set on 5V you will damage this sensor.